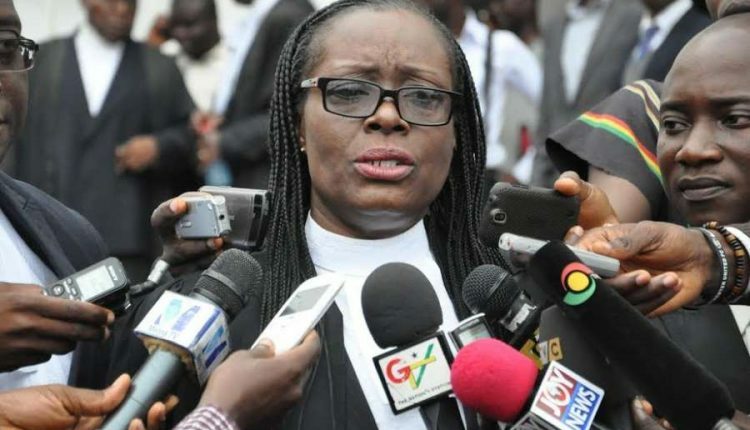 A private citizen, Fafali Nyonator, has hauled the Attorney General and Minister of Justice Gloria Akuffo to the Supreme Court over the impeachment of Charlotte Osei as the chairperson of the Electoral Commission (EC). President Nana Akufo-Addo on Thursday, June 28, 2018, sacked Mrs Osei and her two deputies – Amadu Sulley and Georgina Opoku Amankwah – from office. Their dismissal was after the Committee set up by the Chief Justice, Justice Sophia Akuffo, pursuant to Article 146(4) of the Constitution, to investigate separate complaints brought against the three persons by Ghanaian citizens, recommended their removal from office. The Committee recommended their removal on the basis of stated misbehaviour and incompetence, pursuant to Article 146(1) of the Constitution. Again, the writ is seeking a declaration that the Committee set up by the Chief Justice pursuant to Article 146 of the Constitution to inquire into the petition for the removal from office of Mrs. Osei exceeded its powers by construing, or defining the scope of application of, provisions of the 1992 Constitution, including Articles 44(2) and 146, and thus acted in violation of Article 130(a) of the Constitution by usurping the exclusive original jurisdiction of the Supreme Court to interpret the provisions of the Constitution.